Join Michelle for an Autumn Centrepiece Workshop, we will be using seasonal flowers to create something wild and beautiful for your dining table. 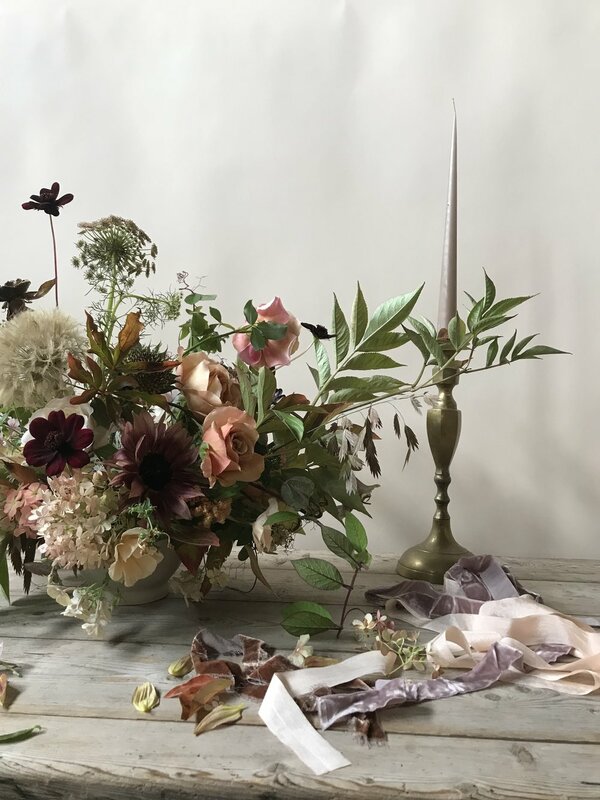 This interesting workshop will brimming with autumnal colours, foraged foliage and the style will reflect the autumnal mood of late September. Only 6 places available, small groups to ensure that each participant gets plenty of individual attention. These are suitable for both beginners and experienced florists looking for inspiration. Seasonal flowers of Blushing Garden Roses, cosmos , Wild Carrot, Rose-hips, Dahlias and the delicate autumn leaves. We will be mixing dark and light shades to create a delicate and lush centrepiece. 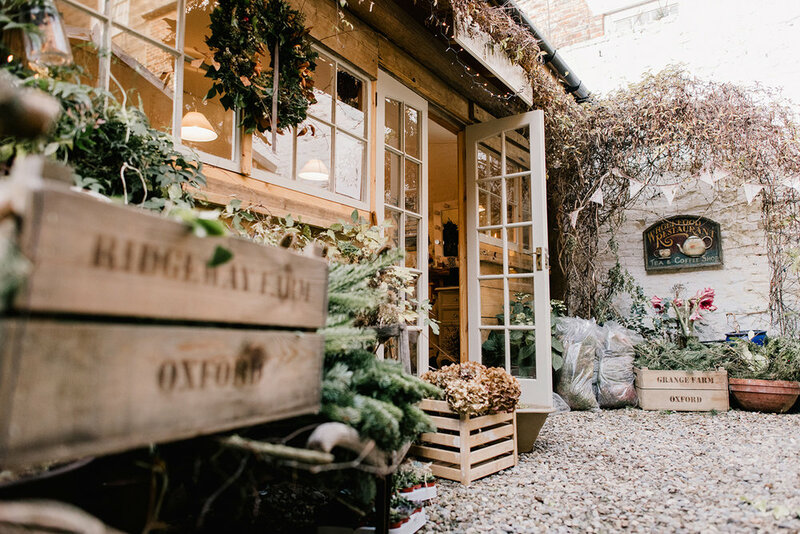 We will be using the traditional methods of chicken wire and floral taping, offering beautiful seasonal flowers and dried elements with gorgeous array of interesting foliage and seed pods. The Workshop will take place in our beautiful rustic workshop situated just off the cobbles of Church Street on the ancient East Side of Whitby. FREE GIFT BOX & MINI LA-EVA HAND LOTION.